As such, every item included in the bridal ensemble is beautiful! But I like tiara the most. 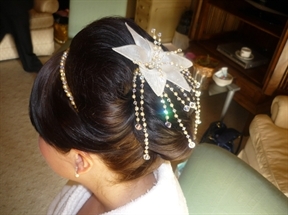 Its delicate structure studded with jewels, shining on the bride’s beautifully styled hairline looks the most stunning! This tiny ornament is attractive enough to captivate all the guests and of course, the groom! No wonder, it needs great skill and creativity to design a bridal tiara and Rosie Willett is a leading name to accomplish the job outstandingly! On RosieWillettDesign.co.uk we can know more about this talented designer. Rosie Willett is has a high profile degree in Fashion Marketing and her creations are chosen to feature in high-class wedding magazines, like Perfect Wedding, Wedding Ideas, and many more. Rosie’s tiaras have been featured on television too, like in Carla and Molly’s Coronation Street weddings. Rosie’s emphasis is on structures and shapes in Nature and so you can see abundance of flowers and other natural shapes in her tiaras and other hair accessories. What is good about her is, she keeps on bringing freshness in her designs and so her designs are never boring! Rosie designs each and every piece individually. 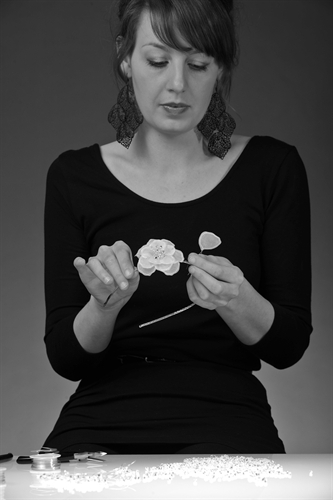 These pieces are handmade by Rosie in which elaborate hand stitching and beading methods are involved. Her exquisite tiaras and accessories are mainly made of pearls, Swarovski Crystals and Diamante combined with fine fabrics like Satin, Silk Organza, French lace and Tulle. The range of accessories created by Rosie Willett includes bridal tiaras and headpieces, wedding Alice bands, double headbands and flower garlands, wedding hair combs, side tiaras, flower tiaras, floral headpieces, vintage tiaras and headpieces, pearl tiaras and headpieces, Diamante tiaras and headpieces, bridesmaid tiaras and headpieces, and occasions headpieces, corsages and jewellery. RosieWillettDesigns.co.uk has a number of testimonials of satisfied brides with their experiences and beautiful photos of their tiaras created by Rosie Willett, going through which we are ensured that the designer has outstanding talent and insight for stunning designs. You can also go through Rosie Willett’s blog to get introduced to enchanting accessories and jewellery. 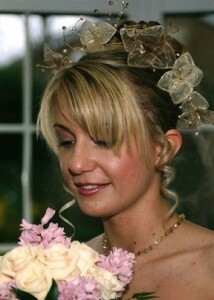 It is beyond doubt that RosieWillettDesigns.co.uk opens up a new world of possibilities in lovely bridal accessories!